For $119.99, families can enjoy a Heat & Serve Easter Meal for 12 that features a spiral-sliced ham or either a boneless honey-glazed ham or boneless roasted turkey breast (or a combination of both). Boston Market brings a new twist to their classic rotisserie chicken with a new an all new sweet and tangy honey balsamic sauce. 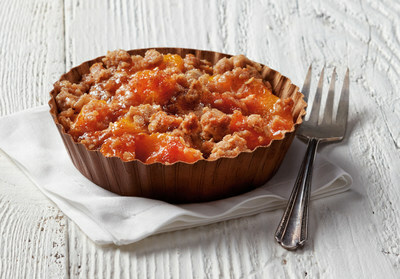 Just in time for spring, the new Peach Cobbler is made with sweet peaches baked in a spiced sugar mixture. This seasonal dessert is then finished with a sweet cinnamon streusel topping. 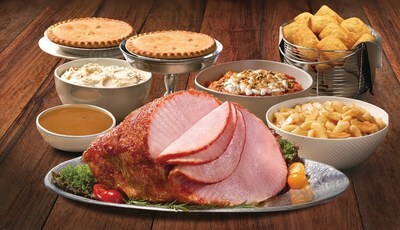 "With multiple ways to dine and celebrate together this Easter season, guests can find everything they need at Boston Market to serve a truly special, seasonally-inspired holiday meal this spring," stated Frances Allen, Boston Market Chief Executive Officer. "Not to mention that when you let Boston Market do the cooking, you get to spend more time with your loved ones – especially important during the holidays." 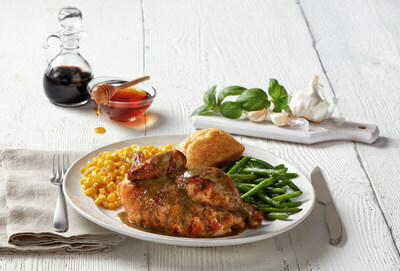 For additional information on Boston Market Easter meals, a la carte selections, or to view the holiday schedule at your nearest location please visit BostonMarket.com. Follow us @BostonMarket. At Boston Market, dinner is always ready. Headquartered in Golden, Colorado, Boston Market Corporation has given time back to busy families and individuals for more than 30 years with quality, home style meals at a convenient value in more than 450 U.S. locations. Known as the experts in rotisserie cooking, the company prepares fresh chicken, turkey and USDA choice Prime Rib in signature rotisserie ovens and features an extensive selection of home style sides and made-from-scratch cornbread. As one of the country's largest providers of catering services, Boston Market offers convenient, same-day orders and delivery for corporate and personal events of all sizes. In January 2017, Boston Market officially launched its "Quality Guarantee," which acts as a continued commitment to all guests that Boston Market will serve all-natural and fresh, never frozen, gluten-free, whole chicken with no added hormones, steroids, antibiotics or MSG. For more information, visit the company's website at www.bostonmarket.com. For the latest news and deals, follow @bostonmarket on Twitter or join us on Facebook.